In recent years, mental health has taken center stage as an extraordinarily under- and misdiagnosed condition that can lead to sad consequences. 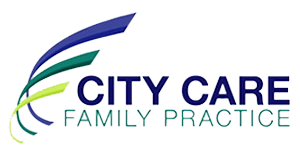 At City Care Family Practice, the team of healthcare providers have a long understood the importance of mental health issues, offering their patients in the Murray Hill section on the east side of Manhattan in New York with effective solutions. If you or a loved one is having mental health problems, don’t delay in calling or booking an appointment online. What are the most common mental health problems? These statistics are just the tip of the iceberg when it comes to mental health, but they give you a small glimpse into this large problem. Why is mental health difficult to treat? Mental health has long taken a back seat to physical health since so much of mental health is difficult to diagnose and treat. Although there are common mental health problems, how they play out vary enormously from person-to-person, making dealing with the issue particularly tricky. In addition to the lack of medical answers in the grey area of mental health, there’s long been a stigma attached to mental health problems, making people less willing to seek treatment. At City Care Family Practice, the team of healthcare providers urges their patients to seek help because mental health issues rarely resolve themselves on their own, and often become worse over time without intervention. 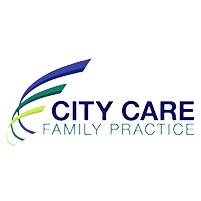 At City Care Family Practice, the healthcare providers take a multipronged approach to mental health issues, which typically includes medications and therapy. Since mental health issues begin in your brain, medications that disrupt or rewire your brain often prove effective in stopping a downward spiral. There are hundreds of different medications, and choosing the right one for you depends upon your illness, your symptoms, and your medical history. Though medications are an effective measure against the symptoms of mental health issues, they’re best used alongside behavioral and cognitive therapies, which work to retrain your brain and your behavior for long-term relief. To learn more about the treatments for mental health issues, call City Care Family Practice, or use the online form to schedule an appointment.